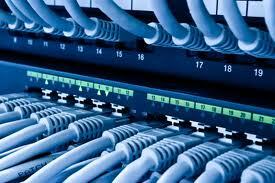 AVT Solutions offers a high quality network cabling installation service. We specialise in structured cabling, UTP, optical fibre, voice, cabling, server rooms and wireless LAN infrastructures within corporate office, single buildings and campus environments as well as non-network cabling solutions such as wireless solutions for hotels, airports and shopping centres. Your computer and network cabling systems are vital to the success of your company. Designing a network solution to suit your total communication needs is our goal. Our experience enables us to give you a complete network cabling system that fits your current needs, personnel capabilities, and accommodates future growth. Our engineering team is trained to perform cable network installations onsite with minimal disruption to any existing cable networks, in Cape Town and across South Africa. All on-site connections to an existing network infrastructure are checked, tested and diagrammed, and the customer briefed on the critical aspects of the new network infrastructure installation. We at AVT Solutions have state-of-the-art testing and splicing equipment readily available, and our on-staff communication specialists actively participate in the design and installation phases of all networking and infrastructure cabling installations. Our exceptional relationships with leading companies afford us the ability to design and install complete networks and structured cabling solutions for both small and large-scale projects, with an emphasis on quality network cable installations.